Dutch island located in the Chesapeake Bay, a few kilometers west of the town of Wenona, Maryland. This island was once about 3 kilometers long and a kilometer wide, now you will not find it. It was inhabited mostly by fishermen. But for decades, and we can even say that the centuries, the rise of water in the bay just engulfed the island. 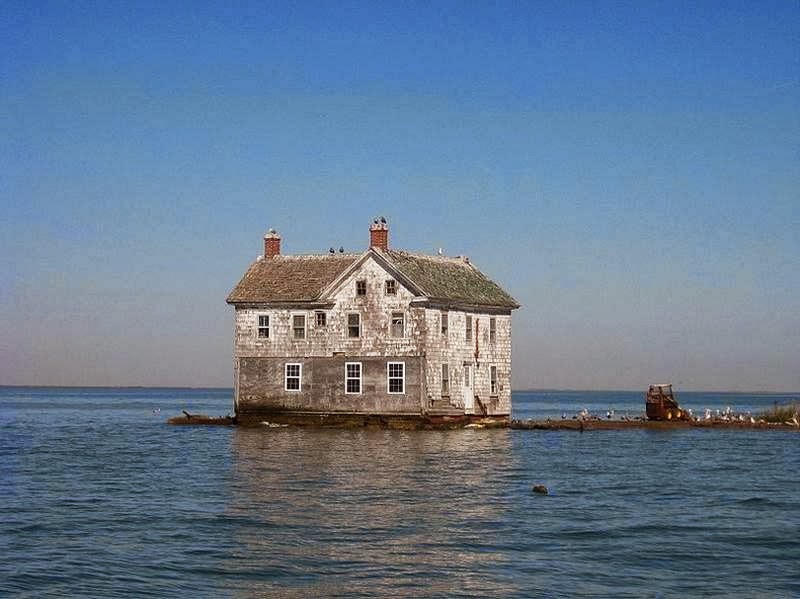 And the last house on the island stood defiantly long, more than a century until its collapse in October 2010.